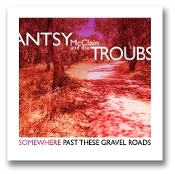 Released in September 2015, this CD of brand new Antsy McClain music includes 14 tracks that will keep you smiling. Order now to enjoy some new Antsy McClain music! Price does not include Shipping and Handling.